I’ve been a preschool teacher for almost 4 years now. As a teacher, I haven’t exactly had unlimited resources to make activities come to life. I’ve learned to be resourceful and I’ve also learned that kids will literally play with a box and a roll of tape for much longer than they will a $30 action figure. Once I became an aunt, I started sifting through the vast world that is the kid’s’ toy industry. I found myself searching for the perfect birthday or christmas gifts, completely disregarding everything I’ve learned and practiced as preschool teacher. So… I’m here today to tell you that you don’t need a fancy puzzle with your child’s name (although they’re fricken cute) and you don’t need to spend $100 on a leapfrog to get your kid to learn! This is great news! Here are 10 activities that you can do with your 2-4 year old without breaking the bank. 1. Let them help you bake. Choose something like cookies, muffins, or bread. These things have enough ingredients that they can help. Anytime a parent asks me how to teach something at home this is my GO TO! I know, it sounds messy. But, measure the ingredients out ahead of time and let them pour them and stir them if you’re worried about a mess. The learning possibilities are absolutely endless with this one. They’re learning math from measuring, counting ingredients, and learning about numbers as they help set the timer and wait for the oven to preheat to “350 degrees.” They’re learning the basics of scientific exploration. What happens when you put these six ingredients all together? This one was powdery but now when it’s mixed it it’s not a powder anymore. What happens when we put these things in the heat of the oven? They’re learning literacy by seeing the different ways that print can be used in the everyday world and by seeing the recipe written or typed out. Ask them if they can “read” a familiar label. They’re working on their fine motor skills; grasping and gripping the spoon and gaining strength as they help to stir or scoop ingredients. They’re learning nutrition by learning about foods. Talk to them about where food comes from. How is flour made? Ask them to describe what the ingredients look, smell, feel, and taste like. The list goes on, but I think you get the point. 2. Playdough. Make it yourself (include activity 1-obviously) or buy it, it doesn’t matter. I personally prefer homemade playdough because I think it lasts longer plus you get a lot more bang for your buck! But, if you wanna buy it because “ain’t nobody got time for that,” I get it, no judgement. Playdough is another catch-all when it comes to learning opportunities. The big one when it comes to playdough is fine motor. Did you know that helping your child to gain strength in their hands is a building block to writing?! SO. IMPORTANT. Also, exploring with playdough gives your child a chance to be creative and explore sensory input. Ask them how to describe how it feels as they roll it out with a rolling pin or squish it through their fingers. You can tie in anything else from here. Have them make letters to spell their name or snowballs and count how many snowballs they can make. You can play with playdough with just your hands or use tools, whatever tickles your fancy. 3. Go on a nature walk and collect leaves. Did you know sometimes the best way for children to learn scientific inquiry skills is just to get out there and experience the world?! How easy is this activity? You get to get a little exercise and get your little one’s gears turnin’ while you’re at it. Ask them what they smell, hear, see, touch, and knowing toddler, probably taste too. Let them collect sticks, leaves, and rocks. You can really stretch this one too if you ask them to describe or compare what they collected. It can even be as simple as categorizing the leaves into different color groups. 4. Make homemade puffy paint. This recipe is usually one I just eyeball but I’ll try my best here… Mix about 1 TBS tempra paint, ½ TBS of white liquid glue, and about ¾ cup or so of shaving cream. Stir it all together and it should look like colored shaving cream. If it doesn’t, add more shaving cream. Then, let your little one paint away! You can use paintbrushes or just your hands and fingers. The sensory exploration here is great because shaving cream isn’t a common texture that a kid is familiar with. This activity brings out their creativity and can be a great discussion about colors and color mixing. The paint (if applied somewhat thick) dries foamy and squishy, it bubbles up off of the paper. This is another great one for fine motor skills. Encourage them to paint shapes or letters or just paint! Try to avoid questions like “What did you paint?” or “What is it?” Kids often don’t paint “things” at this age. They may just be exploring and learning as they go. You can say things like, “Tell me about it!” or “What’s your favorite part?” instead. 5. A grocery store scavenger hunt. There are so many things you could hunt for in grocery stores: colors, shapes, letters, numbers, items, psycho Sunday shoppers- lol OK maybe just us moms will hunt for those. The grocery store with a toddler can be such a pain so why not make it a game?! Find three colors and see how many items of each color they can spot or if they’re a little older of a toddler have them hunt for the first letter of their name. 6. Water play. Do you have a fancy water table? Great! A bathtub? Works just as well! Let them explore with pouring, splashing, mixing water with soap, mixing different colors of water, or even switch it up by doing cold water or water with ice cubes- maybe not in the bathtub. Sensory play can do wonders for the little mind! 7. READ! Read. Read. Read. Read. Read. Read. I can’t say it enough. Start reading to your little one from the day they’re born and then keep reading to them forever. Reading is SO IMPORTANT. I can’t tell you how many parents of late toddlers and preschoolers have asked me, “So when can I teach them how to read?” My answer? If you read to them, you’ve already been teaching them. They watch you hold a book, turn the page in the correct direction, track the sentences, make meaning out of the jumble that is words on a page, and the list goes on. These are the early building blocks to literacy development. 8. Dance to songs and sing fingerplays. Singing and dancing is great for musical and creative development as well as movement and coordination. But, what you might not realize is that it also teaches math. Hearing and following a beat and a rhythm are great ways to start teaching about patterns. If you’ve never heard of Laurie Berkner, go look her up. Thank me later.... Or, hate me later when you’re singin’ “The Goldfish Song” in your sleep. 9. Have a lunch (or dinner) time chat. Aside from reading, THIS IS MY JAM! Do this always! I can’t stress enough how important it is to just sit at a table, or wherever, and have a conversation while you eat with your little one. You will be teaching them more than you know. Social conversation cues and edicate; how to use serving utensils; how to use eating utensils; how to eat new and unusual foods; manners; and you’ll be modeling what foods to eat, how to stop when you’re full, taking appropriate portions, and trying new things all at the same time. 10. Draw, cut, and glue. I plan to do a whole post about art with little ones, but for now, I’ll give you this: it’s about the process not the product. Try to let your mommy control rest and just let them explore. If scissors seem too dangerous, just try drawing and painting. It might turn out lookin’ like the ugliest dang thing you’ve ever seen but I guarantee they’ll have a smile on their face when it’s all over. Ready, set, go make memories and build brains! Did this spark your interest or creativity? 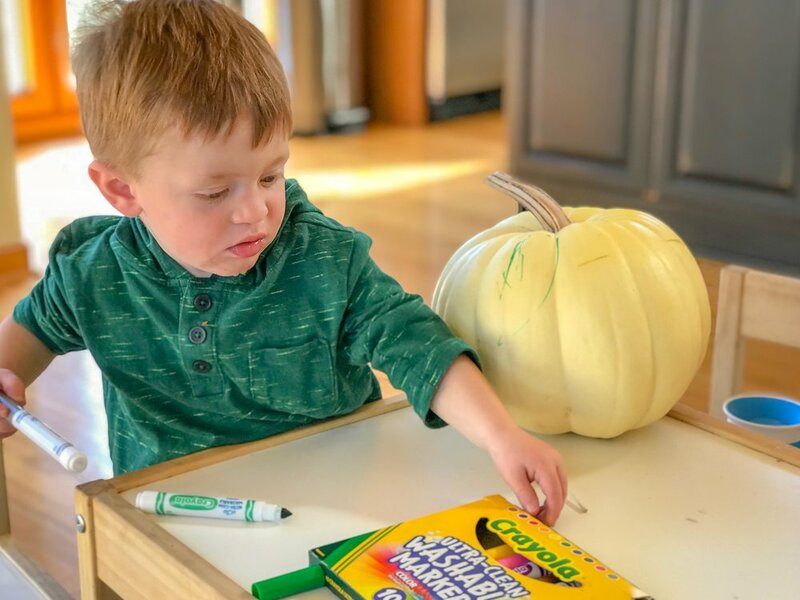 Drop some of your favorite toddler activities in the comments, we’re lookin’ for advice over here too!